Photos: On upland and coastal rocks. Co. Cork, SW Ireland. Variable. 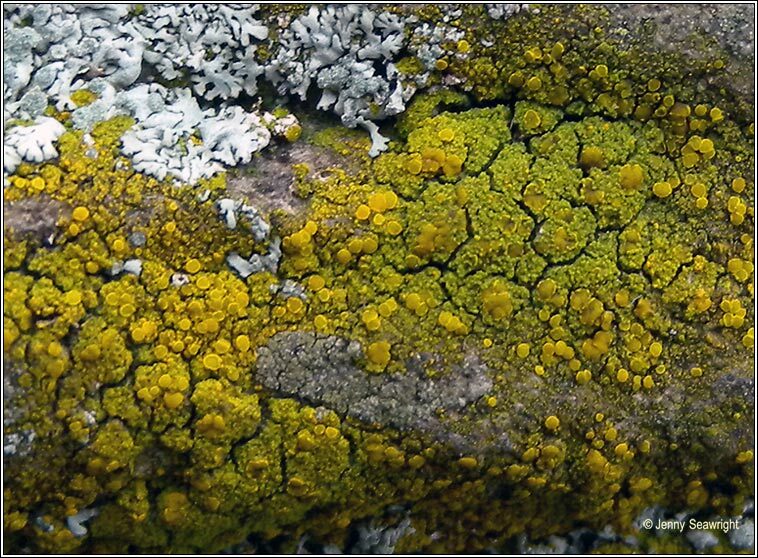 Thallus thin or of flattened, mustard-yellow to orange-brownish, irregular granules which can form thick crusts. Soredia and isidia are absent. Apothecia dull yellowish, becoming darker with age. 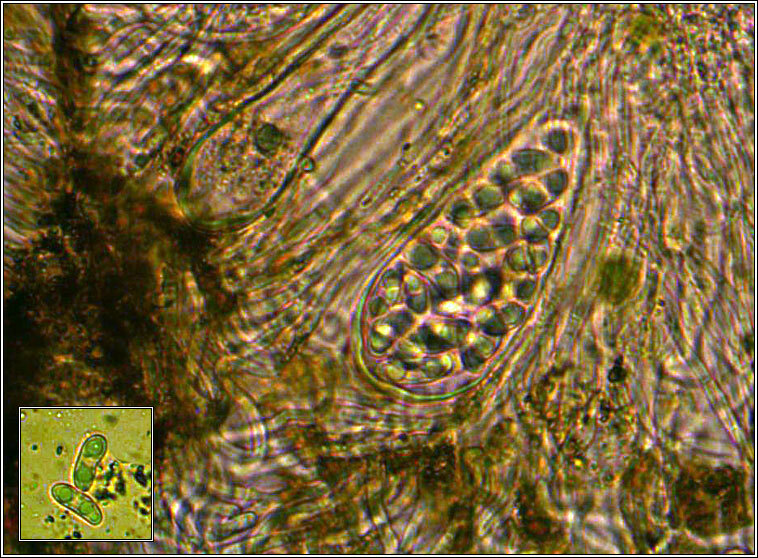 Asci 12-32 spored, the simple spores with oil droplets can appear 1-septate, 9-15 x 3.5-6.5 µm. Microscope photo below. 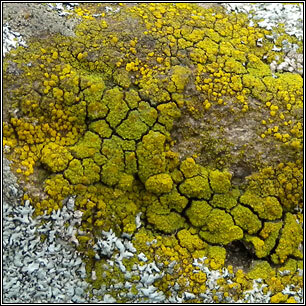 Found on nutrient-rich siliceous rocks, tops of concrete posts and other sites where birds perch. 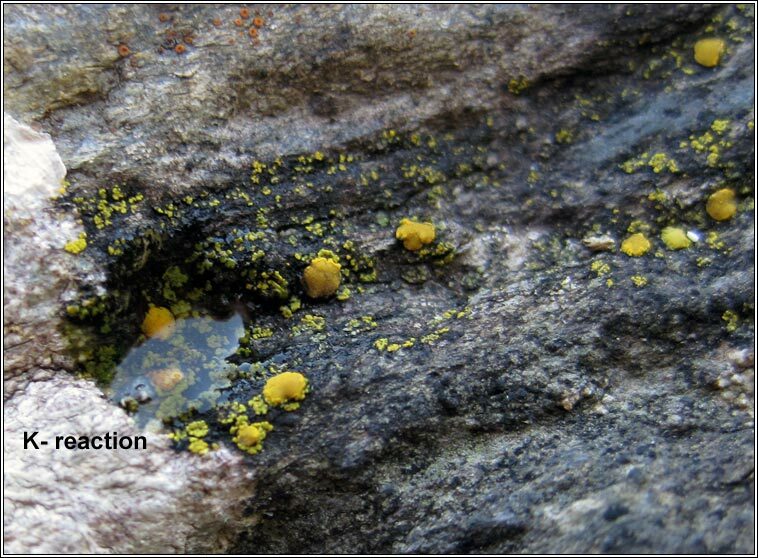 Occasional on slightly calcareous brick or rock.